The 60’s have seen many changes, including in the field of fashion and make-up: the focus has shifted from the lips to the eyes, while pastel colors and teased hairstyles took over. 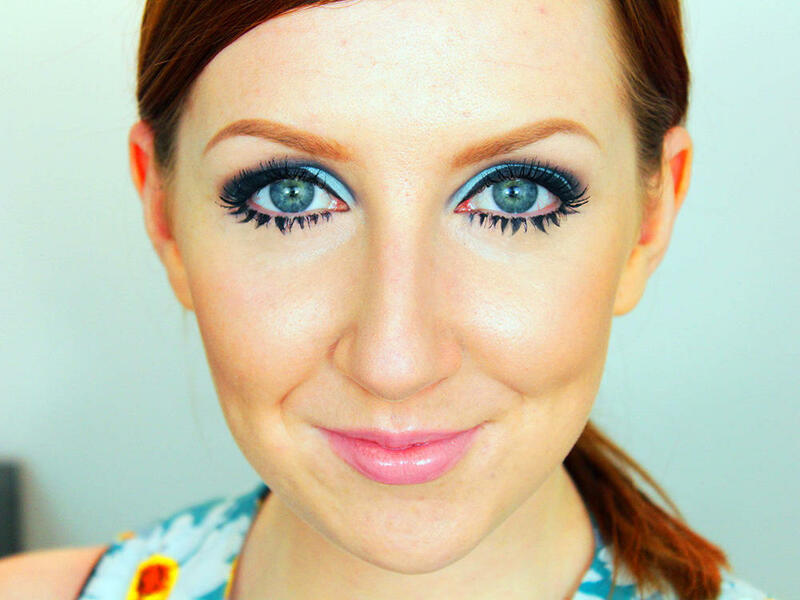 If you love this decade, or just want to recreate the look for a theme party, here’s valuable advice on how to make a perfect make-up 60’s style. The legendary ’60s are characterized by a profound change of values ​​and the rule of those who were the new generation lifestyle. These were the years of “The sweet life” and “Psycho”. Born groups that will mark all generations to come, such as the Beatles and the Rolling Stones and individual great artists like Jim Morrison. Then there are the premature departed of public figures become icons like Marilyn Monroe, John F. Kennedy and Martin Luther King. Not to mention the historic event that still makes discuss: the moon landing, Neil Armstrong took his first steps on the moon. Also with regard to the world of fashion we have important news: the miniskirt was born and with it starts to get a huge success and Twiggy its unmistakable look. The make up just begins to color slightly, making room in pastel eye shadows. All this while the Anglo-Saxon world imposes itself as a guide to every look that was considered trendy. In this decade they are temporarily put aside the Pan-Cake foundation super opaque, for the much lighter funds, which tended to give a brighter effect on the skin . But he still had to look perfect, without any kind of imperfections must first be carried out thorough cleaning of the face . In order to get a base that is closest to the trends of those years, then retrieved a very opaque concealer and hide pimples and dark circles, possible to consolidate it all with the help of a liquid foundation and then used an illuminating for a fresh look. 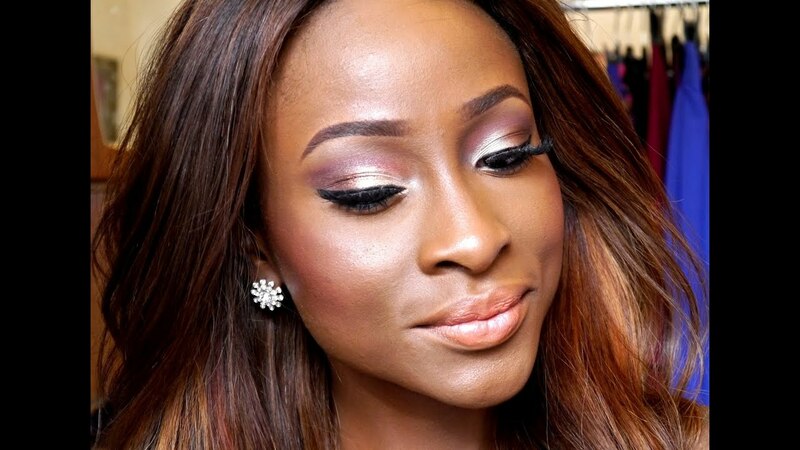 Complete the base with a nice blush in shades of pink and you’re ready to focus on your eyes. Here we come to the interesting part. In fact, the eyes, during the sixties, have taken over, stealing the scene to the typical red lips fifties. 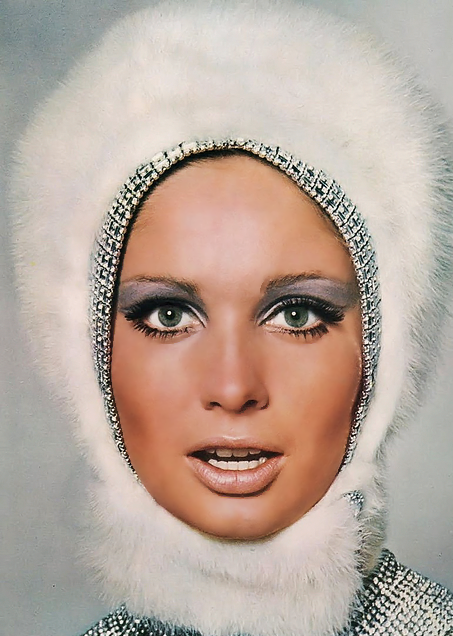 As we mentioned earlier, the colors to be applied on the eyelid in vogue in those years were certainly those pastel. Colors like blue, green and light pink in fact, were the most loved and used. 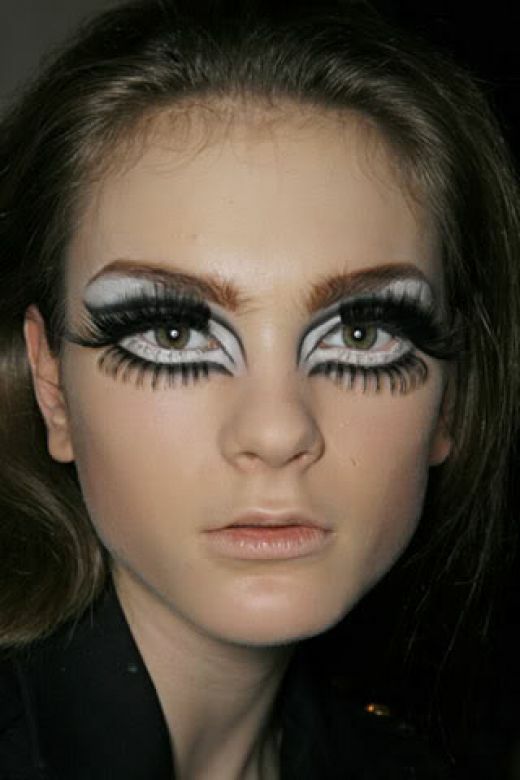 In addition to the typical look launched by Twiggy, we all know, to recreate a look 60 years applied a line of eyeliner nuanced throughout the length of the eye, which also continue beyond the end of the same before merging with a second black line that runs along the lower rim. All this then goes into creating a V that gives an optical effect more elongated eye and large. Let bushy eyebrows and quite natural and infoltite your lashes by applying plenty of mascara, or, if you like to carry them, you can opt for the false eyelashes , much in vogue at that time. It leaves behind the red solid and typical matte of the previous decade and you begin to prefer the reds and pale pink particularly glossy. 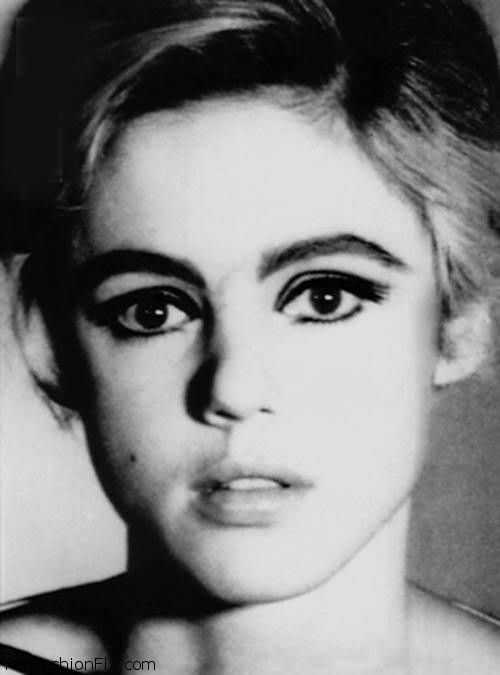 Then to get a make up that appears to have come directly from the sixties, surrounded your lips with a pencil is not too dark and similar to the lipstick color you chose, then applied the latter preferably of a soft pink tone and, if not already has a glossy effect, complete the make-up thanks to a transparent lip gloss. Finally, we also speak of the style that you would give to your hair, so as to achieve a complete look, perfect for a party in sixties style. The watchword in this case was for sure and no doubt volume! The hairstyles were characterized by an extreme volume, recreated through a cotonatura in the highest part of the head. In this case you can choose whether you want to keep the hair smooth, cotonandoli simply to root or whether you want to create more elaborate hairstyle, pulling them up with the help of hairpins and elastics. In both cases, the only thing that there can definitely be missed is the lacquer used, and I would say definitely abused in those legendary ’60s.